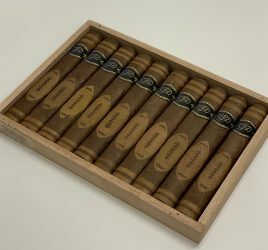 Cigars play a significant role in the history of and collective imagination surrounding the Andalusian capital. Find out more about this city of aficionados. It was in Seville that Europe’s first tobacco factory saw the light of day, in 1758. The idea was to consolidate the multitude of small processing workshops that had popped up all over town as trade with the New World developed. At the time, Seville was one of the most prosperous cities on the Old Continent thanks to its trade with “the Indies”: the ships would sail up the Guadalquivir, whose estuary spills into the Atlantic 90 km south-west of Seville, not far from Cadix. Tobacco leaves were imported from the Americas (Cuba, Hispaniola, Jamaica, etc.) to be processed here, under the monopoly of the Spanish monarchy, hence the name Real Fabrica de Tabacos. This royal factory mostly produced ground tobacco (snuff) – that’s how most of it was consumed at the time – as well as cigars, which started to become increasingly popular in the late 18th and early 19th century. This is the world that Northern Europeans found so exotic, which Prospère Mérimée and then Georges Bizet 120 years later chose to use as the backdrop for Carmen, the story of a cigar-rolling gypsy girl in a Sevillian factory. So, Seville’s history is closely linked to that of tobacco in general and cigars in particular. If the stogie is undeniably part of Spanish national culture, this attachment is even greater in Andalusia. Even the tiniest tobacconists (estancos) have humidors with a small selection of cigars. And it is extremely rare to be on the receiving end of a reproving comment when you light up a puro, even if you are in the middle of a crowded restaurant terrace. 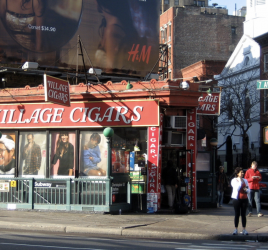 Indeed, restaurants’ and cafés’ outside seating areas are one of the few public places where you are free to enjoy a cigar. The days when Spain had some of the most permissive tobacco legislation in Europe are long-gone. Between 2006 and 2011, bar and restaurant owners were free to choose whether their establishment would be smoking or non-smoking and, according to government figures, only 20% of establishments chose to ban smoking. But since 2011, all that is over. Spain basically aligned itself with the rules enforced in most European Union countries; namely a total ban on smoking in enclosed spaces, as well as graphic photos and health warnings that are supposed to discourage smokers from their transgression. Of course, the extremely mild climate – Seville is the warmest city in Europe – allows aficionados to enjoy a cigar outside practically all year round. Don’t go wild just because you are in a country that played such a decisive role in European cigar history, though. Spain remains the world’s biggest market for Cuban cigars but, like France, prices are set by government decree. Some of the most prestigious Cuban brands (Cohiba, Montecristo, Romeo y Julieta) are systematically more expensive than in France, whatever the cigar. Otherwise, you just need to be careful. As a general rule, the smaller the cigar, the better your chance of finding a bargain compared to French prices. You can find some good deals on José L. Piedra, Vegueros, Hoyo and Trinidad cigars. 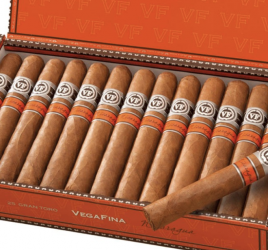 For cigars from other countries, check out Arturo Fuente (their Spanish range is considerably wider than the French one) or Vega Fina Nicaragua and Davidoff Nicaragua. Naturally, there are also the limited editions that you can only find here. The Saint Luis Rey Tesoro 2016 “exclusivo España”, which came out at the start of the year, sells for €8 each. ¡Disfruta !